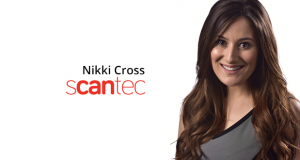 Nikki Cross is the Learning and Development Manager at Scantec, a global recruitment industry leader in 8 engineering, technical and specialist divisions. Nikki was instrumental in helping the business to become the UK’s first IOR Centre of Excellence. Nikki possesses 10 years of learning, human resources and organisational development experience. Nikki’s expertise includes no-nonsense, commercially focused training and development, organisational change, leadership and management coaching. Nikki is passionate about helping businesses to make the most of their resources and talent and helping employees to reach the height of their careers and individual potential. In addition to her accomplishments at Scantec, Nikki has also helped companies establish their development needs and implemented learning strategies for more than 7 years in the finance and work based learning industries. YOU are the secret to success! Nikki Cross – Shut up and communicate! Have you ever witnessed a manager spell out their expectations of their team, only to then behave the complete opposite way themselves?